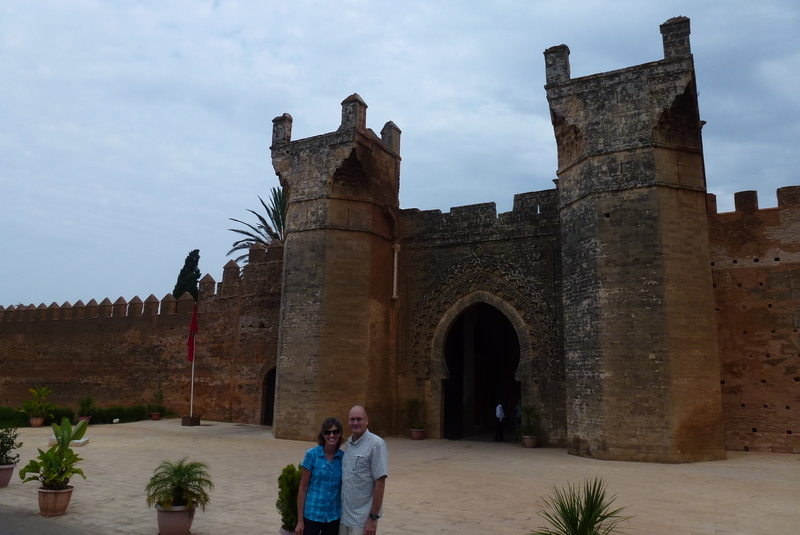 Our first destination in Morocco after picking up our car at the Casablanca airport and driving north along the coast was Rabat. 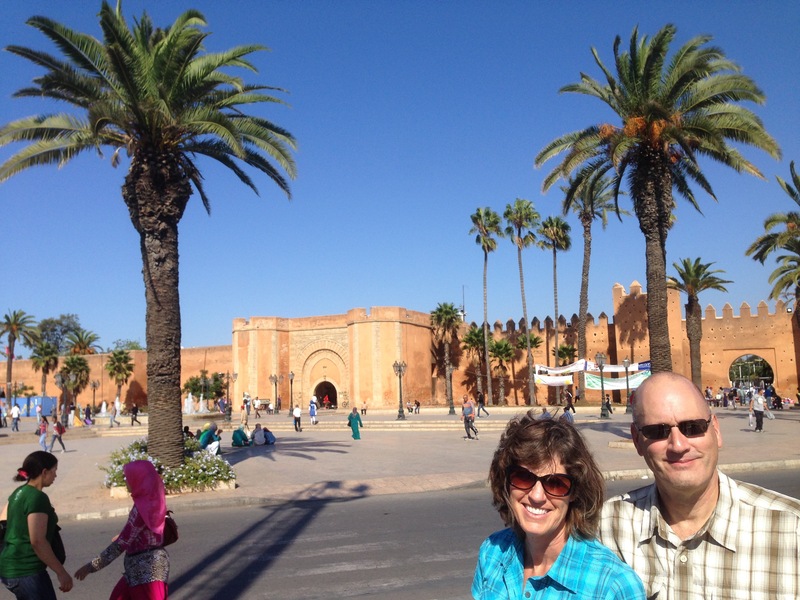 Rabat has been the capital city of Morocco since 1912. The current King, Mohammed VI, lives here. 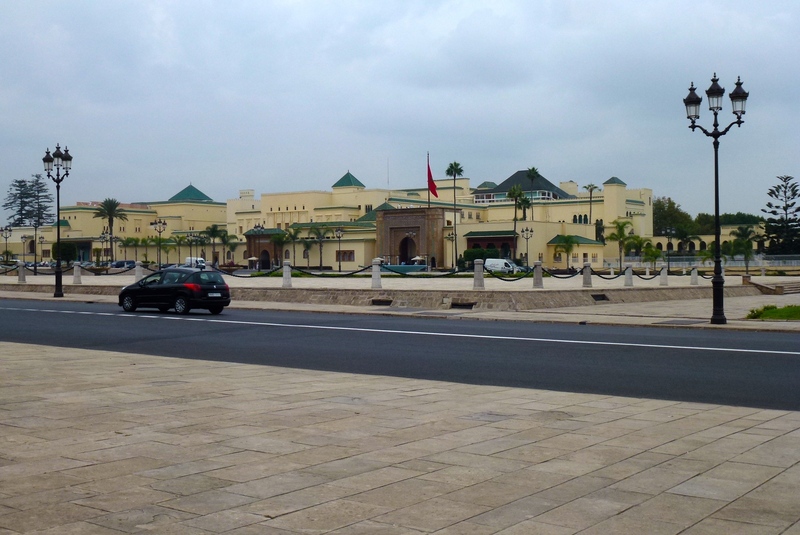 The Royal Palace in Rabat. 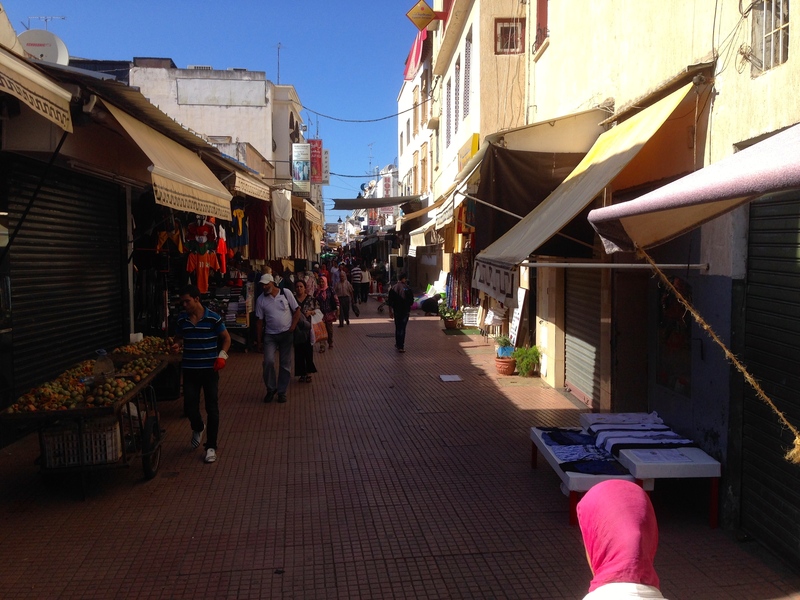 Rabat is not a major tourist hub, so you won’t find a lot of foreign crowds here. 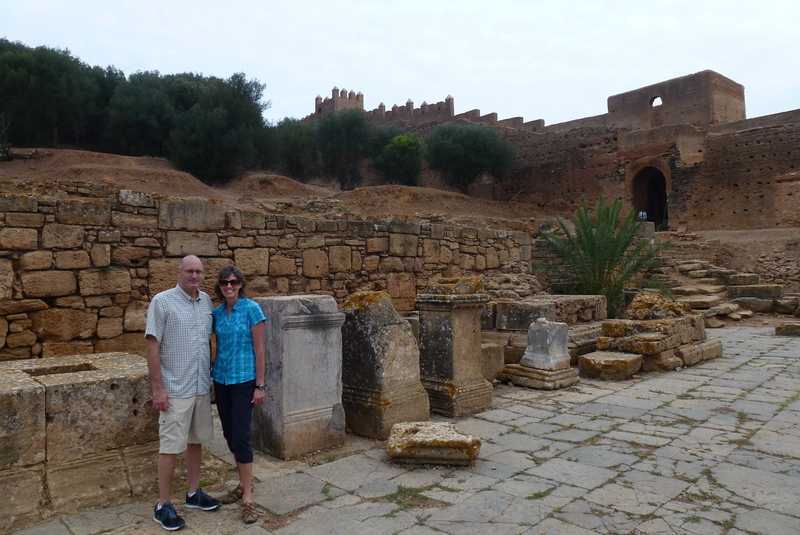 We thought it would be worth a quick stop enroute to Meknes, and our overnight stay was sufficient to see the main sights listed below. 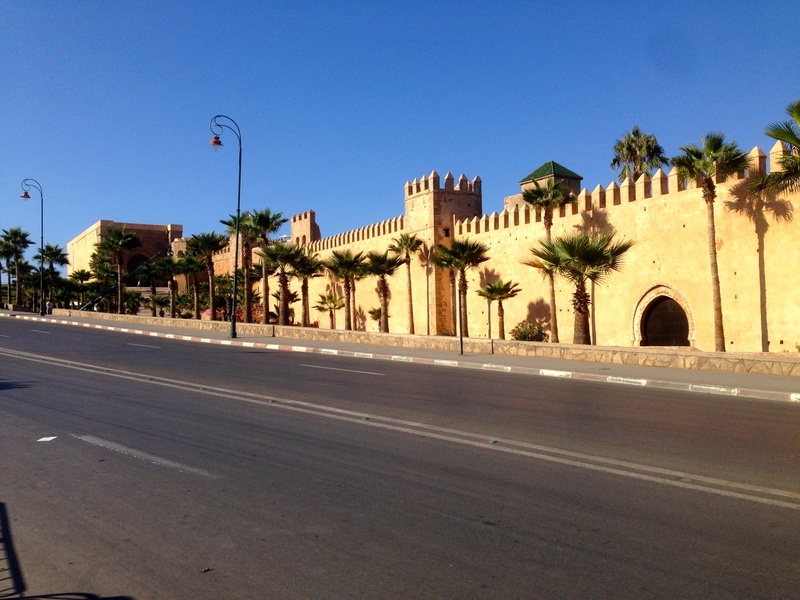 This is the main historical sight of interest in Rabat. It is located to the southeast of the main town, about a 30-minute walk from the medina. The exterior walls and towers, built in the 14th century, are impressive. The exterior walls of Chellah. This site is ancient, dating back to Phoenician times. For a thousand years it was a thriving city and port. There are Roman ruins dating from 200 BC and Islamic ruins of a mosque and monastery dating from the 7th century onwards. 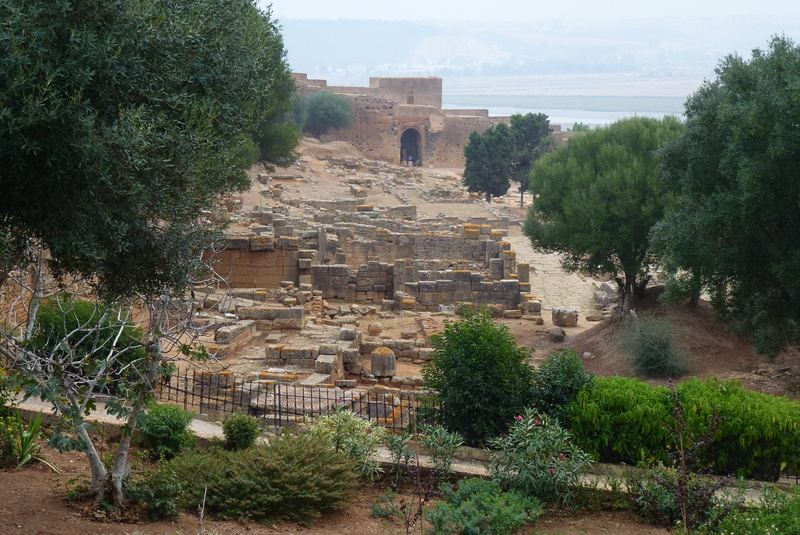 Overlook of the Roman ruins in Chellah. 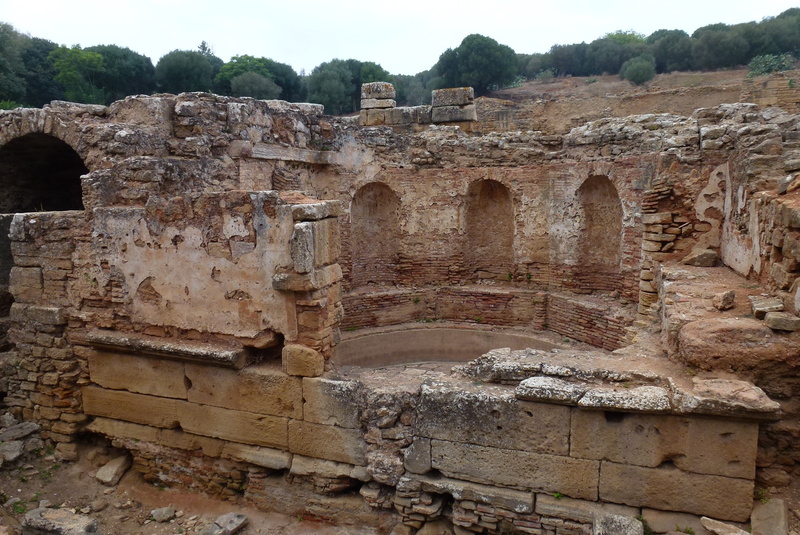 The Roman nymphaeum in Chellah. 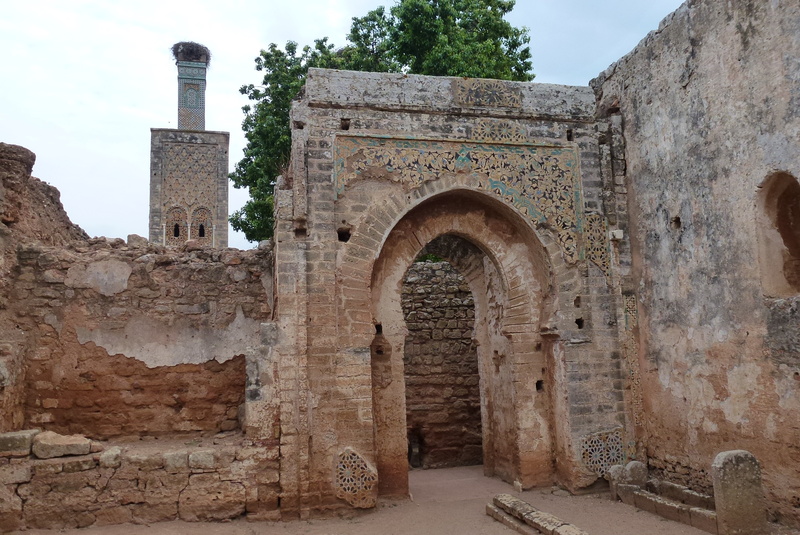 The Islamic ruins at Chellah. 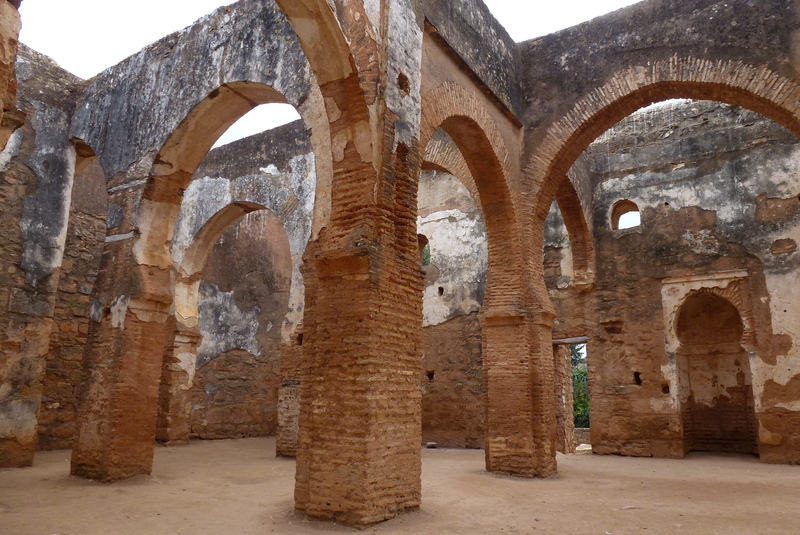 Another view of the Islamic ruins at Chellah. The medina is the heart of Rabat and like most medinas in Morocco, this one has walls and gates (from the 12th and 17th centuries) around the sides not protected by the sea and the river. The walls of the Rabat medina. A number of gates provide access to the narrow lanes and crowded shops found within, and the appearance probably hasn’t changed too much over the centuries. 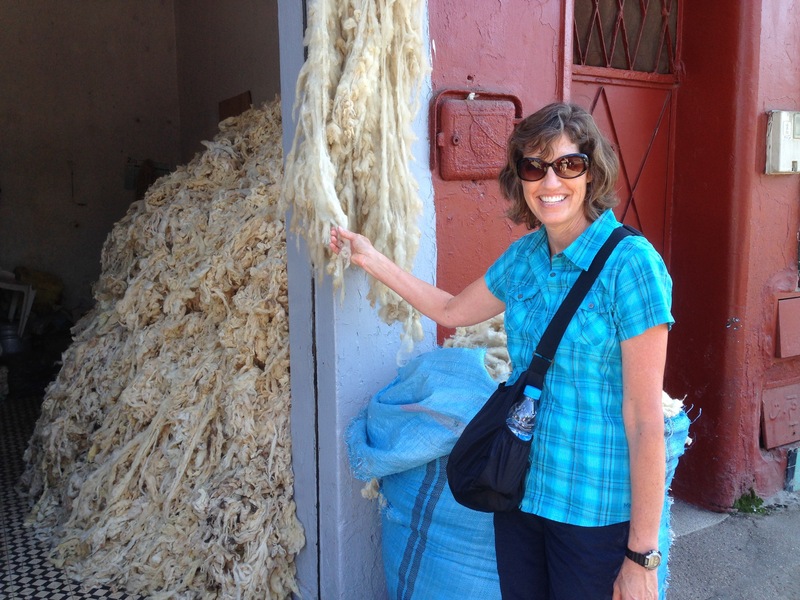 A lot of wool stacked in a storage area in the medina. A street scene in the medina. 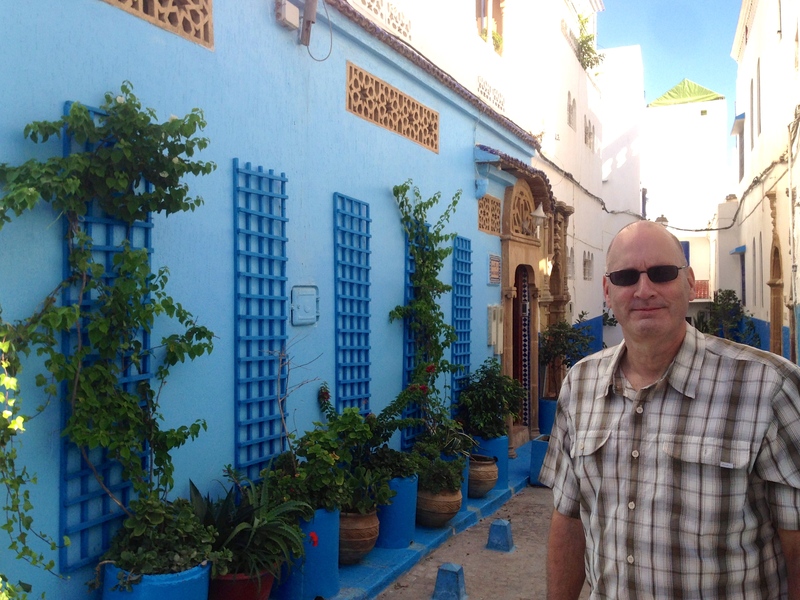 Our riad (hotel) was just inside the walls of the medina. Outside the medina walls you’re all-of-a-sudden confronted with the present day – a modern city that bustles with government business. This is an old 12th century citadel, next to the medina. The ancient walls of the Kasbah des Oudaïas. This was the imperial capital of Morocco for a short period of time. It sits on a strategic point overlooking the Atlantic Ocean and the mouth of the Bou Regreg River. 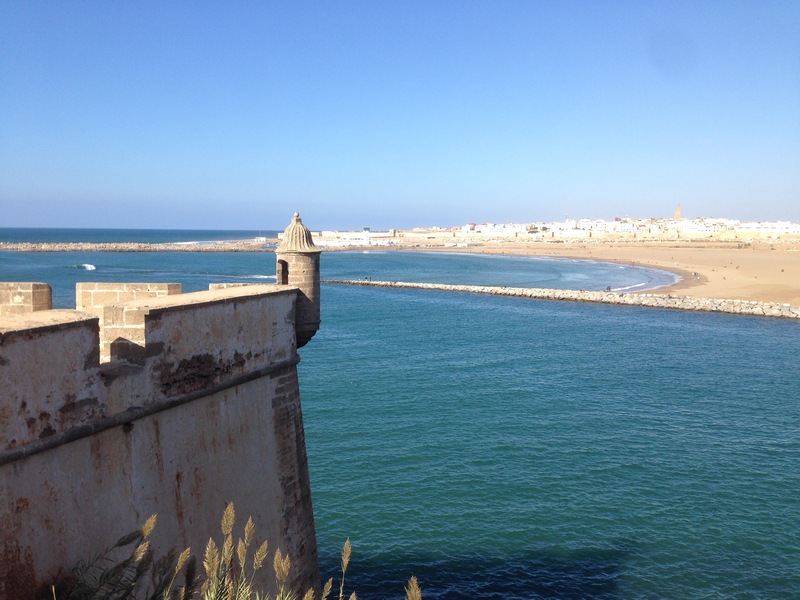 A view of the Bou Regreg River and Atlantic Ocean from the Kasbah. One of the quaint streets in the Kasbah. This is the part of Rabat we really didn’t get to see since Tom Cruise was in town filming his 5th Mission Impossible Movie, Rogue Nation. While it was fun to watch a bit of the filming, I was disappointed we couldn’t see more of the old quarter. 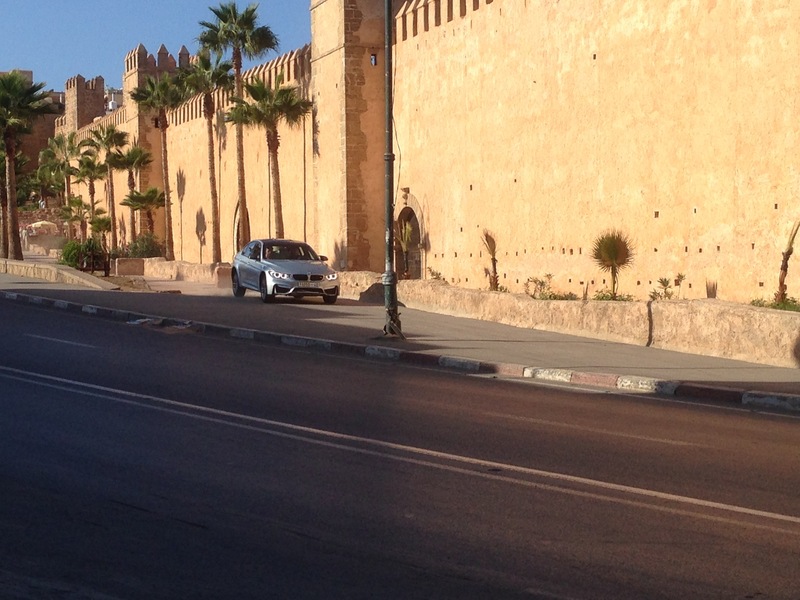 Although hard to tell, that’s Tom Cruise racing the BMW (with Simon Pegg as a passenger) in a shot right by the Kasbah. It will be interesting to see if this scene makes it into the movie. They shot this scene several times. Posted in Morocco on April 18, 2015 by Paul Terry.